With a day of practice under their belts drivers hit the track one more time Sunday afternoon to prepare for qualifying. 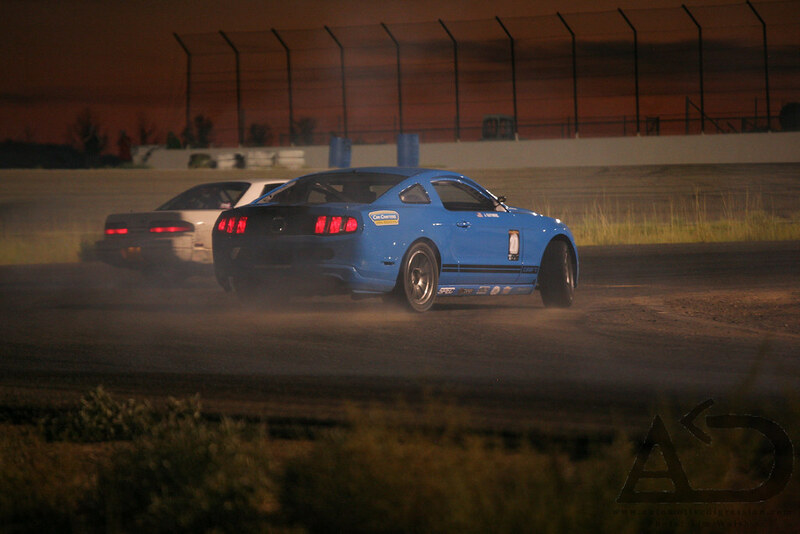 Again, practice sessions were run in two groups giving everyone an equal amount of seat time. The field of competitors thinned itself out due to mechanical malfunctions but ultimately a Top 20 was formed. 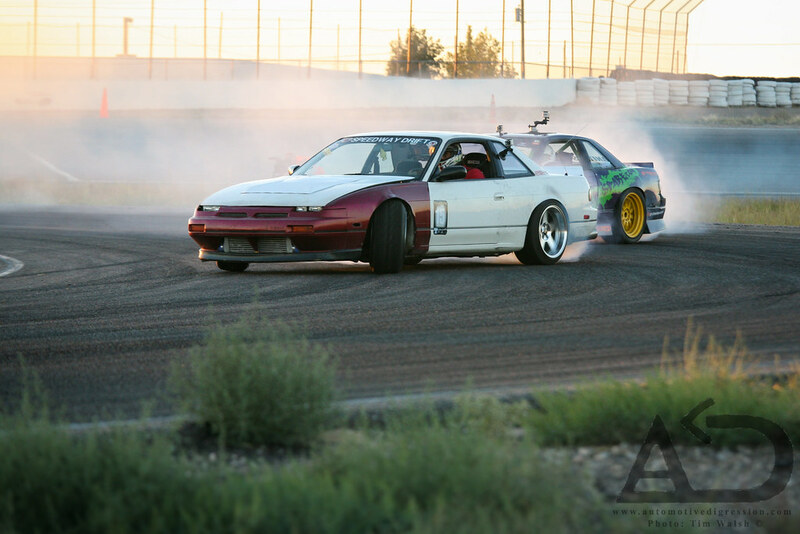 Sandia Drift Series leader Jeff Osborne exiting the bank. Joseph Ocampo cleanly making his way through the transition. 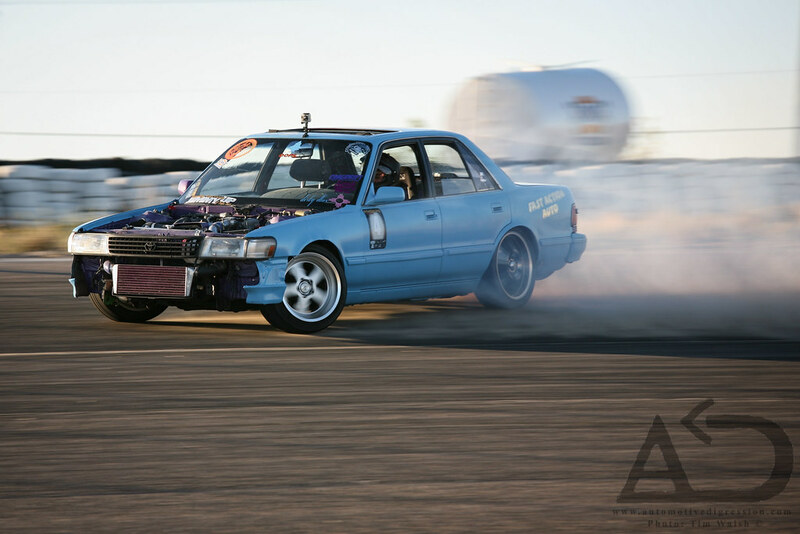 Local Tony Acker spreading the sedan love in his Cressida. Youngster Riley Fremont lost his driver's permit faster than he got it, but that didn't stop him from sliding. Vince Herrera of Team 187 exiting the choking point. 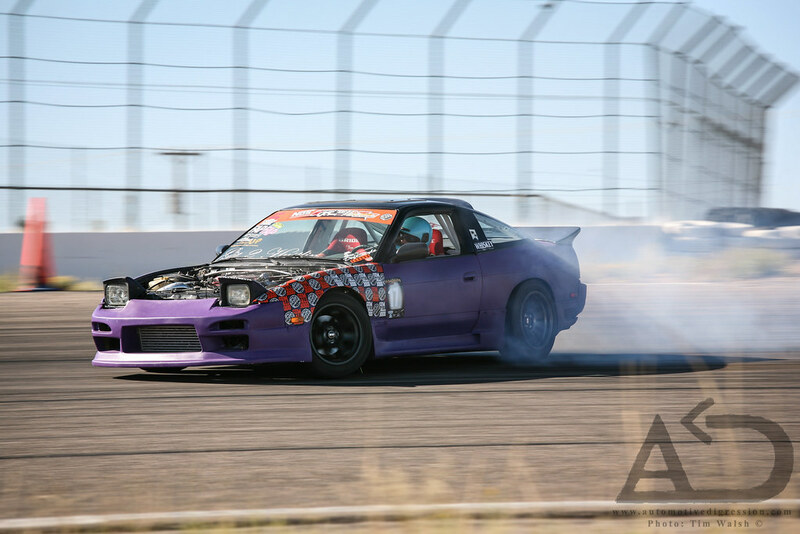 Even with gearbox trouble Brandon Hack of Colorado was able to utilize the low end torque of V8 swapped S chassis and hold a drift on the big oval. The sun began to dip westward as the tandem battles got underway. 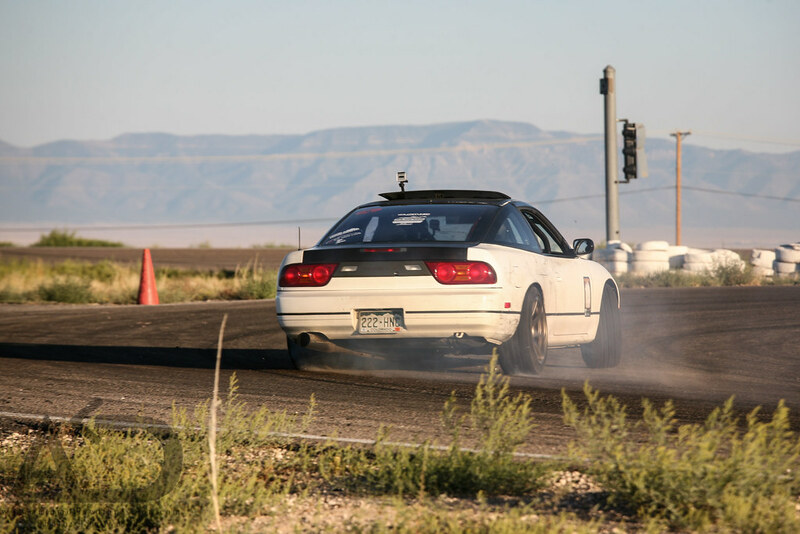 Some match ups ended uneventfully due to driver error, however some were thrilling like local Trevor Koontz versus Utah's Brandon Wicknick in two very different 240s. 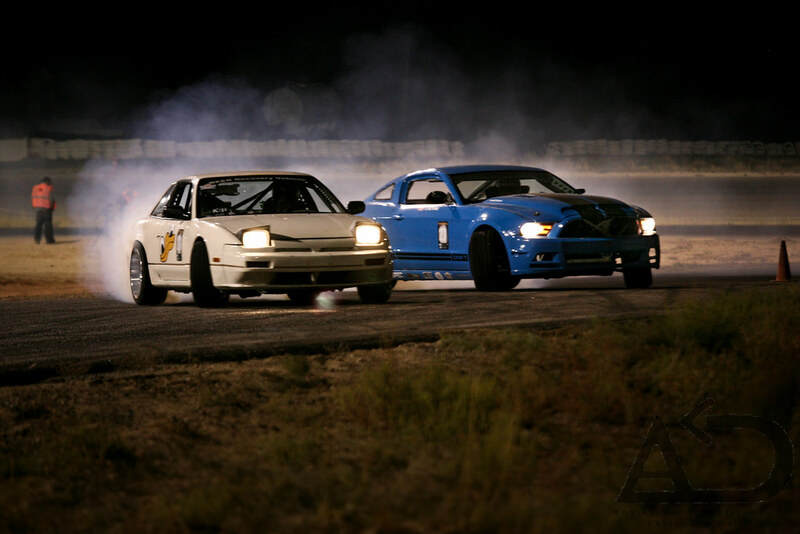 It would be the fierce battle for 2nd place that was the spectacle of the evening. 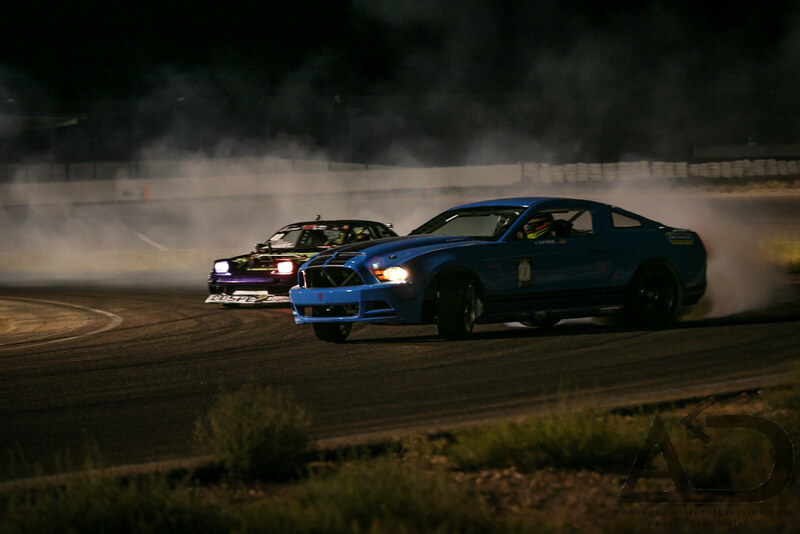 The two local V8s of Bubba Price and Jim Guthrie would go round after round with no clearly defined victor. Bubba and Jim would go "one more time" again and again, taking breaks to switch tires. Run after run they refused to let up. 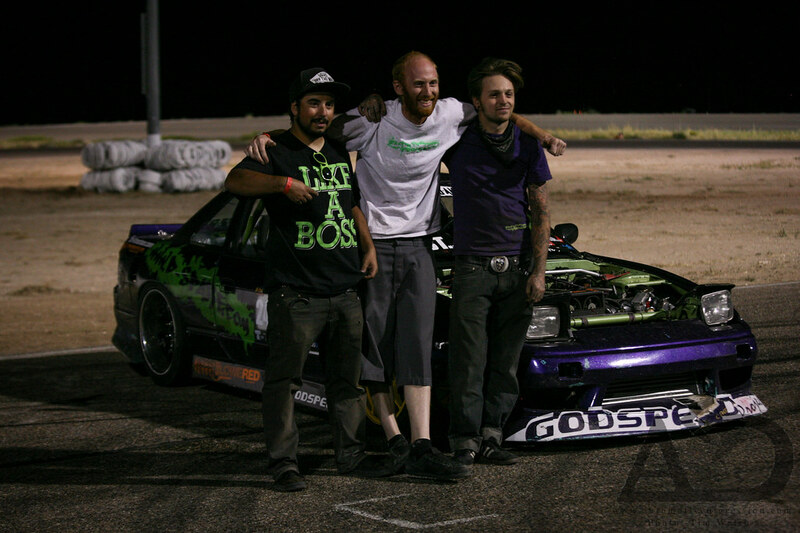 In the end it would be Jim Guthrie that advanced and faced Brandon Wicknick for the top spot on the podium. Brandon's consistent performance would be the deciding factor with two flawless runs. 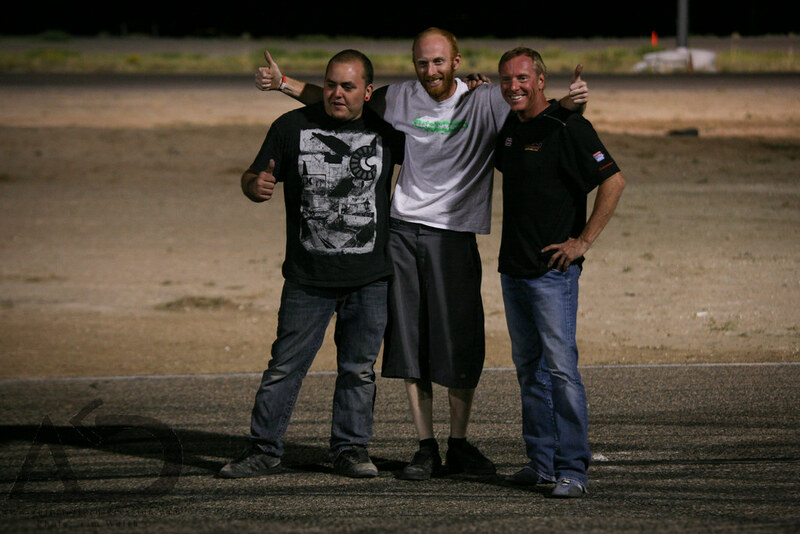 Team D-Spare left NAPA Speedway with cash and prizes, but that's never what drifting has been about. 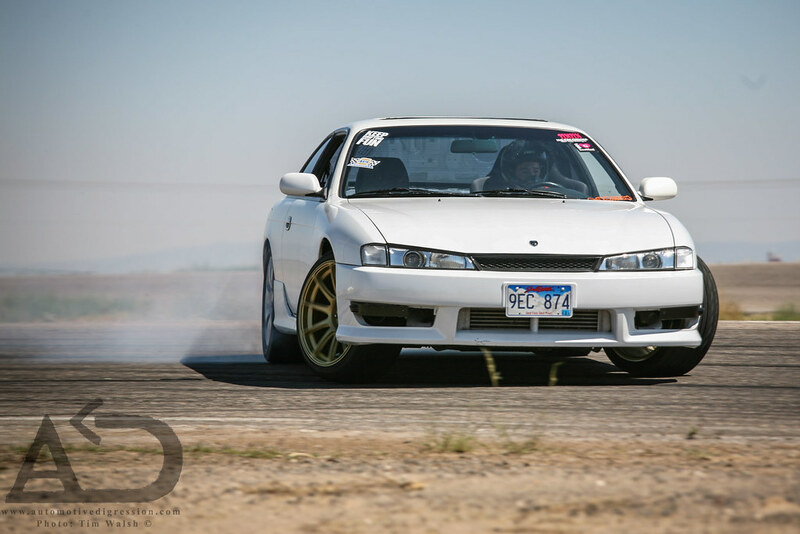 The memories made by drivers and spectators alike is what will stick with us, and make next year's Party that much better. Special thanks to Dan Brockett for organizing this fantastic event. If you see him, give him a hug. 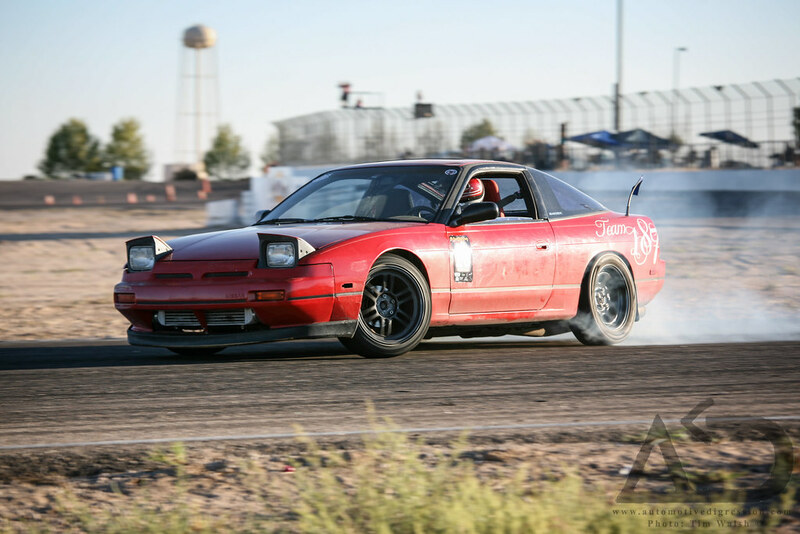 Categories: "240SX", "Brandon Wicknick", "Bubba Price", "Cressida", "Drifting", "Ford", "Jim Guthrie", "Mustang", "Nissan", "No Coast Drift Party", "Toyota", "V8"